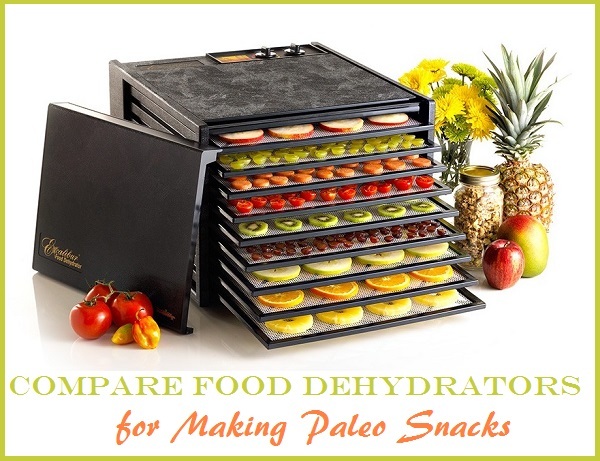 If you’re starting out with the Paleo diet, you may start to compare food dehydrators to make great homemade Paleo snacks. It is one of our kitchen essentials! I know that some of you may want to start with the best of the best, but it’s important to know that when you buy new appliances and things for your kitchen (to help you follow your diet better.) 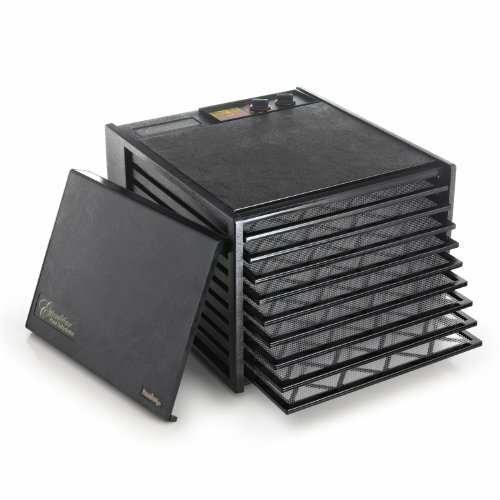 However, you may want to wait to see how much you actually use the dehydrator so you can determine the best one for you. There is no reason to blow your family budget on something that you may or may not use. 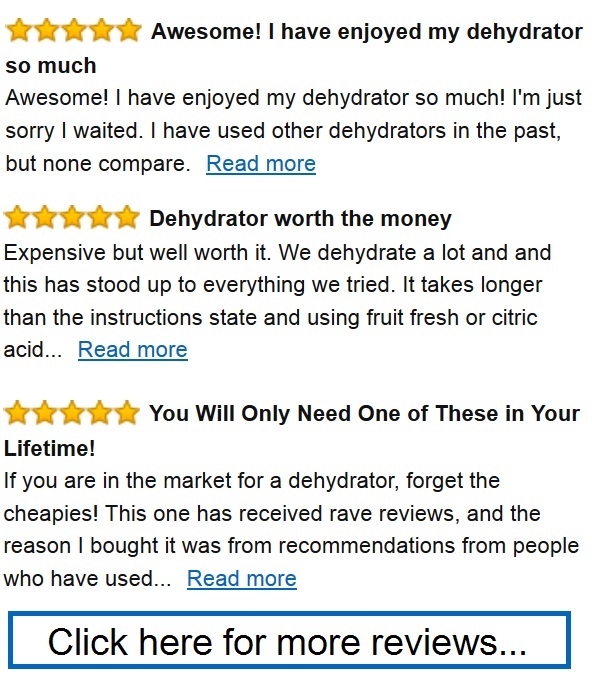 For us, a good dehydrator is a MUST HAVE! 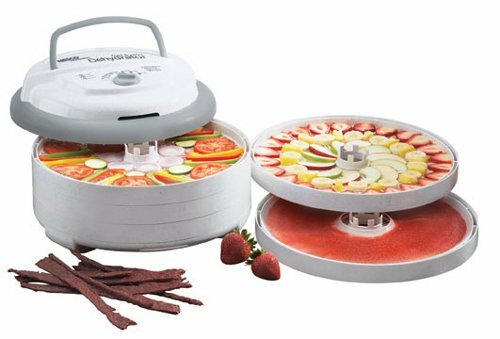 To Compare Food Dehydrators – Can You Borrow First? We actually got her first day hydrator in our household by borrowing one from my in laws. I wanted to see how much we would use it to create Paleo snacks, how much the kids would like them and really how much use it would get overall. So we started out with a borrowed version. This was a cheap smaller one with a 5 tray system that was round and couldn’t hold a lot of food. Then because we had such a small dehydrator and we’re starting out, we ended up using up all the time! It took about 24 hours to dry apple chips so it was almost constantly running for several months in the fall when we had apples and bananas and things to dehydrate for snacks. Since we were new to Paleo — those were very important transition foods in our adjustment from having things like crackers and chips to having these new and different snacks in the house! What I would suggest if you are first starting out is to actually borrow one and see if you like it see if you and your kids actually like dehydrated food. They can be great snacks for after school. They can be great snacks to take to the office. BUT if you don’t like them then there’s no reason to buy a home dehydrator for yourself. You can try it and if you are using it all the time then you may want to upgrade to a different dehydrator. You will also know how much you use it to help determine which size to get and how much to spend. If you just think you need a small dehydrator and you don’t want to spend a whole lot of money I would suggest the Nesco Snackmaster Pro Food Dehydrator. 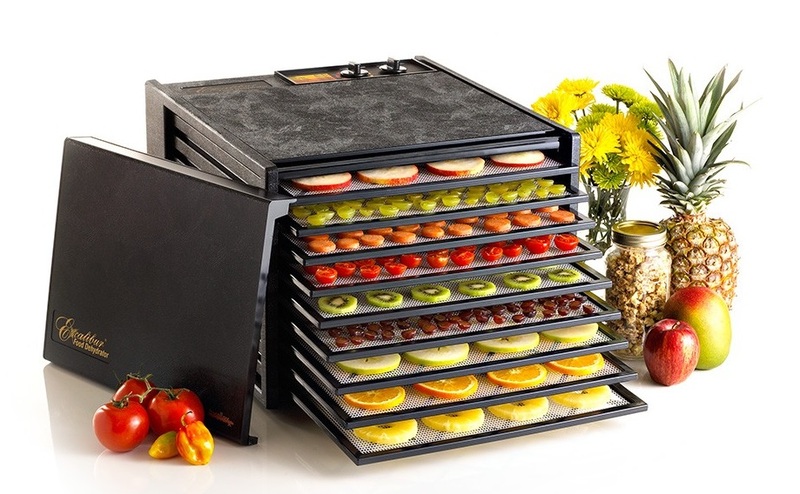 This dehydrator is too small for my family but it’ll definitely work if you don’t dehydrate a whole lot. I knew based on my research that I wanted and Excalibur dehydrator and that was what I had my heart set on. So I asked for one for Christmas. (You may want to ask or BEG for one for a birthday, for Mother’s Day, for Father’s Day, or whatever holidays you celebrate and people give you gifts!) They are not cheap but I think it is SOOOO worth it! I actually got my first Excalibur dehydrator for Christmas. I was given the five tray system (Model 3526TB) from my in laws and I was so excited about it. However, I was really concerned about whether I wanted a 5 tray or the 9th tray (Model 3926TB) which really has a lot more square footage to cover at one time. My husband convinced me to return the 5-tray and get the one I knew we needed. So if you’re in a situation where someone just loves them so much that you can go through a whole bags worth of apples in a couple days like us — something like the Excalibur 9 Tray Model 3926TB would be much more helpful to you. or if you just want to say a lot of money on your family’s snacks. It is worth the extra price for a LOT more drying space. I LOVE it.